Deputy Heads of the Presidential Administration have conducted negotiations with the HS company. Ukraine has bought 100 pistols from the Croatian firearms manufacturing HS, speaker of the Ministry of Internal Affairs Artem Shevchenko. "The firearms company HS was founded in 1991. Today it is among TOP-3 world companies on the quality of pistols (70 per cent of export to the USA, Ukraine has already acquired 100 pistols. It is being actively engaged in developing up-to-date assault rifles having advantage in comparison with the reliable but morally outdated AK. 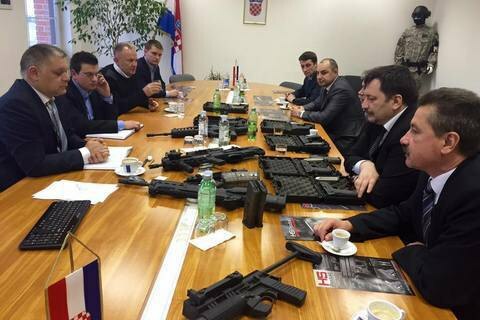 That is why the Deputy Head of the Presidential Administration, Andriy Taranov, has conducted negotiations with Croatian armourers as to their products, and tested them on the spot. Impresses," he wrote on Facebook.